Duanwu (Chinese Dragon-boat Festival) Festival Trip 2019 – Guizhou C.I.T.S. 1: Characteristic: Festival will be held all over China, it is so-called the dragon-boat festival. But here this festival is going to held at the Miao village, without any concerning with dragon boats, they just celebrate in their own way. It is on the western part of Guizhou Province. 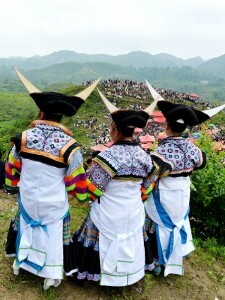 The Miao women will dressed with festival costumes to sing and dance happily. D02(04/06): Arrive in GY airport. Picking up and transfer to AS. D03(05/06): LZ: Visit Han village, the BY stone village and Miao village. D04(06/06): ZJ: Visit the Lh Miao village. 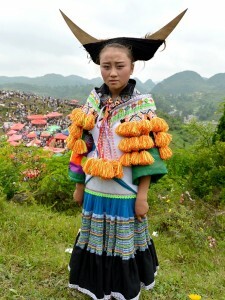 D06(08/06): KL: Visit the Sq and Qm Miao villages or small-flower Miao vil. D07(09/06): Kl Visit the rural market at SD and then the Miao village around. D08(10/06): LL: Visit LD, Xiao Danjiang Miao villages on the way. D09(11/06): Zho: Visit Bli, Yd Dong villages, Kz Miao villages. D10(12/06): Lp: Visit Dm, Dc and Zhainan Dong villages, perhaps have a short walking from Dm to Zhainan through the mountain. D11(13/06): TD: Visit the Hg, Xh, Bp and Gz ro Zl Dong villages. D12(14/06): Jj: Drive to visit the famous terrace scenery at Jj Miao village . D13(15/06): Zx: Visit the Dong village and walk from TA village.